Hail damage can be a harrowing part of owning a roof. Hail is one of the more noticeable elements when it comes to potential for doing damage to your roof. That is why at Lake Norman Roofing Pros, we are fully equipped and prepared to deal with and rectify hail damage caused to roofs. 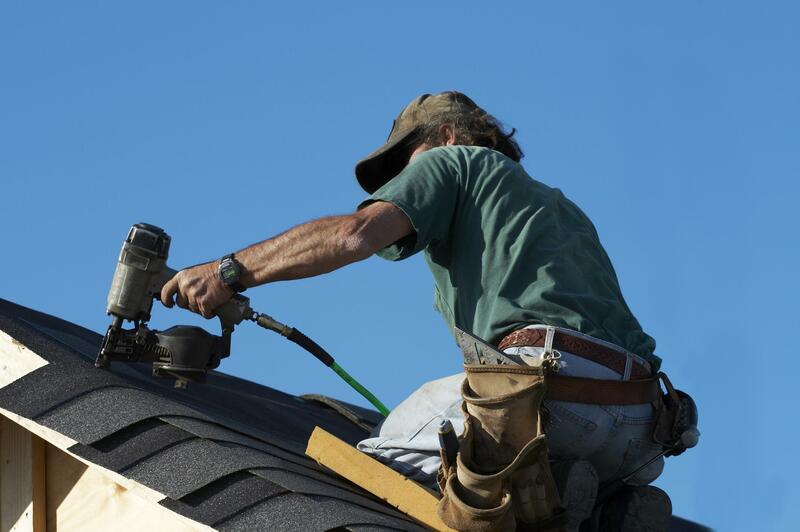 Our professionals bring years of experience to every job, and we've seen our fair share of hail damage. It's important to take care of. Give us a call today to first inspect and then repair any hail damage your roof may have sustained. Hail can accurately be described as the bane of roofs' existence. Hail is large frozen precipitation that occur in thunderstorms when snow and rain are both present. As such, hail is a bit like rocks falling from the sky. Naturally, these large frozen bits of precipitation can cause a lot of damage to your roof. This is true for pretty much all roofing materials. We at Lake Norman Roofing Pros have years of experience dealing with hail damage. Being highly experienced, we encourage you to give us a call if you have any concerns at all about hail damage or potential hail damage done to your roof. At Lake Norman Roofing Pros, we cannot stress enough that waiting to fix your hail damaged roof is a very bad idea. This is something that must be taken care of immediately in order to prevent further damage, which could become quite severe. When hail hits your roof, the protective granules can get knocked off. If left unfixed, this will inevitably cause leaks to the point where costly repairs or even a roof replacement is only your option. Call our team of professional roofing contractors today and make sure that the problem of hail damage is nipped in the bud. It's not always immediately apparent that your roof has sustained hail damage. Usually, this isn't something you can figure out from the ground level. You have to go up onto your roof to inspect the shingles yourself in order to determine whether or not your roof has sustained hail damage. This is a service that we at Lake Norman Roofing Pros offer as well. Perhaps you suspect that your roof has sustained hail damage after a hail storm, but you aren't sure and you don't want to climb all over your roof. We offer inspection services and provide free quotes. Hail damage is a tricky thing in our profession, but we're all over it. It might be fair to say that hail is the ultimate adversary of roofs. In reality, hail is one of the greatest hazards for roofs and their owners, because hail can cause some truly negative effects on your roof. Hail damages and degrades the vital granules on your roof, accelerating its loss and hastening the pace at which you need to start thinking about a roof replacement. Hail can also lead to the voiding of manufacturers warranties, accelerate the ageing process of shingles, and lead to other related problems, particularly if the hail damage is not repaired as quickly as possible.